Moscow announced the supply of S-300 air defense missiles to Syria in the wake of its row with Israel over the Russian Il-20 spy plane crash on Sept. 17. But, on the quiet, Moscow also decided that they would be operated by Iranian teams. 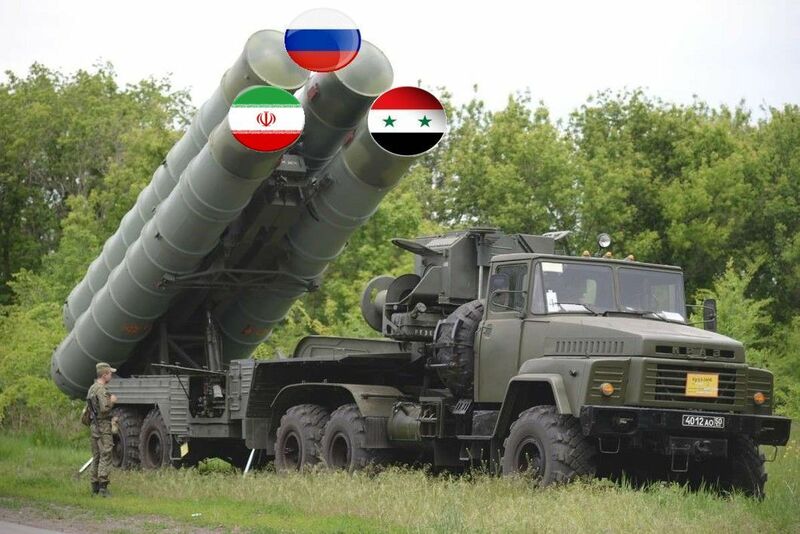 And so Syria received the exact same air defense system that Russia sold to Iran two years ago – the S-300PMU-2 – which was installed for protecting its nuclear sites. American and Israeli military experts were caught by surprise by this discovery, sure the Russians were giving Syria outdated batteries..
On Oct. 7, Prime Minister Binyamin Netanyahu said he would soon be meeting with President Vladimir Putin, although a date had not been set. So, while the two leaders continue to smile and go through the motions of amicable relations, Russia continues to shock, surprise and exacerbate tensions with Israel. This entry was posted on October 8, 2018 at 6:47 PM and is filed under Uncategorized. You can subscribe via RSS 2.0 feed to this post's comments. You can skip to the end and leave a response. Pinging is currently not allowed.